What type of Qualitative Tubes are you looking for? Applications: Qualitative analysis, emergency and disaster scenes. 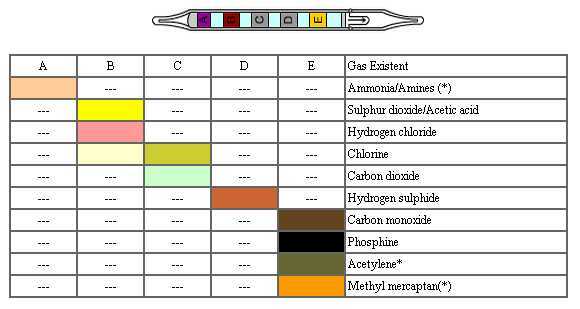 Note: This qualitative detector tube enables detection of a range of inorganic gases as it contains different reagents at mutiple sections within the tube. The main purpose for this tube is qualitative analysis but simple quantitative analysis of the gases is also possible. This tube is of benefit where the user needs to establish firstly if there is gas within an environment and secondly, which type of gas. Therefore tube 131 is regularly used at emergency scenes. 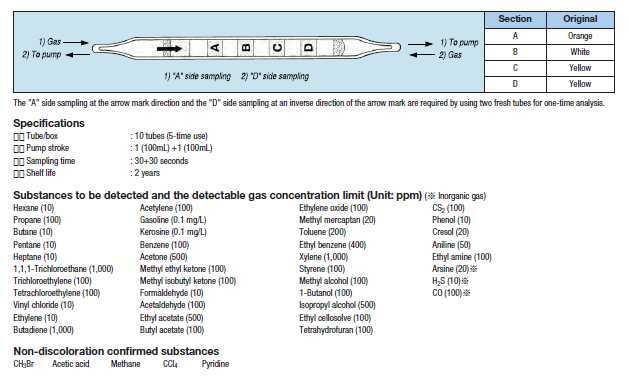 Note: This qualitative detector tube enables detection of a range of organic gases as it contains different reagents at mutiple sections within the tube. The main purpose for this tube is qualitative analysis but simple quantitative analysis of the gases is also possible. This tube is of benefit where the user needs to establish firstly if there is gas within an environment and secondly, which type of gas. Therefore tube 186B is regularly used at emergency scenes.